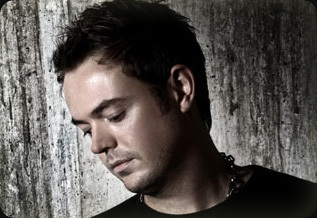 Grammy-nominated Andy Moor is an icon in the electronic dance music industry. Undeniably one of the most respected producers in the genre whose substantial talents and work ethos have earned him a catalogue of accolades. 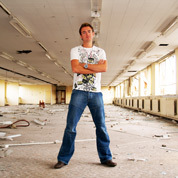 Recently nominated for the 2009 DJ Awards, Andy is currently rapidly scaling the DJ Mag’s Top 100 @ 15th. Named Best Trance Producer and Best Trance Track at the 2004 Trance Awards, Best Dance Record at the 2006 International Dance Music Awards, Andy received his Grammy nod with a magical remix of Delerium-Angelicus in 2008. Despite his impressive fan base, Andy remains humble and serious about his craft. His producing and remixing magic has already set fire to the work of celestial artists Britney Spears, Avril Lavigne, Paul Oakenfold, Brian Eno, Tiesto, Arthur Baker and Nadia Ali, to name but a few. This follows enthusiastic acclaim for his albums Explorer with Tilt, and Common Ground with Leama & Moor and the highly anticipated artist album due for release in early ‘10. Andy Moor’s last remix, Nadia Ali – Love Story soared to the climatic #1 spot on Billboard Breakout Chart, the Billboard Dance Chart and Beatport Trance. Not to be outshone, this summer’s collaborations with Ashley Wallbridge on Faces and Stadium Four with Lange are receiving the highest possible acclaim and support from the industry. Up next is the highly anticipated follow up Delerium remix, released on the self-titled album early 2010. A new mix compilation series, Breaking the Silence has just been released on his own record label AVA recordings, capped by a world tour. AVA recordings has gone from strength to strength, beginning life in 2006 to become one of the leading labels in the scene today.. The DJ mag voting has closed and the winners are announced: Andy Moor bumps up to the #15 spot among the world's best DJs! "This year I have had to extend the boundaries of what I have been playing," he explains. "I've had to really go in depth on the progressive end to make sure I know what's what, but most gigs have called for me to play faster than in recent years." DJ Taj emotes the artistic essence of the city's counterculture history. He has both a unique look and mixing style that garners significant attention. Coupled with his diversity is his passion and dedication to the art of being a musician. Hard work has led him to prestigious West Coast residencies with club brands Spundae, in San Francisco, and United State of Consciousness, in Seattle. Working diligently in the studio Taj aims to prove his talents as a producer to express how he feels about the music. As a DJ his ability to ride with and steer an energetic dance crowd further demonstrates his goals and motivation to stay real with the music and open the door that will free people's mind, body and soul. 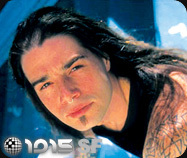 Jake DeSilva is a California native Producer/ DJ who has been active in the Electronic music scene since 1999. He began DJ'ing in 2004 and Started Producing music in 2007. Since then He has Opened for some of the biggest artists in the industry including: Cosmic Gate, Andy Moor, Sean Tyas, Tritonal, Tom Colontonio, Shawn Mitiska, Michael Badal, Reverse, DJ Dan, Ron Reeser & Deep Voices to name a few. In 2009 he released his first E.P. 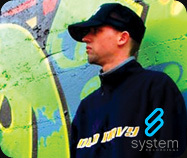 entitled "Initialize" on the San Diego based label "Zer0 Digital Records" and in 2010 signed his 2nd track, a remix of the Soul Puncherz tune "All Night Lover" to the New York City label "System Recordings". In 2010 be on the lookout for Jake DeSilva as we expect an onslaught of beats coming out from him in the genres of Progressive House, Progressive Trance, Vocal Trance and Uplifting Trance tracks.